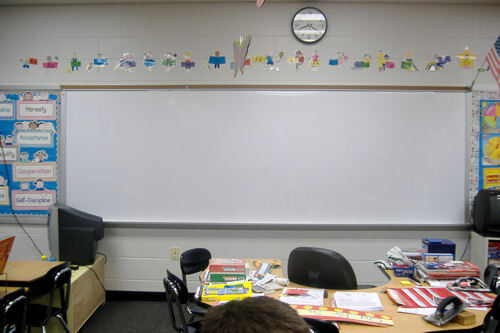 Classic Plastics has plenty of experience in classroom whiteboard resurfacing and installing dry erase rolls to create whiteboards for educational uses. Having classroom dry erase boards are great for any subject, allowing interaction with the students, editing as you lecture and creating visual aids. Dry erase boards provide much less mess than a chalkboard. Also, resurfacing a chalkboard is a quick and cost-effective way to make an old chalkboard useful again. Saving Money – Our dry erase rolls allow you to customize your new whiteboard to the size of your current chalkboard without having to replace the whole thing. Environmentally Friendly – Our resurfacing services uses less energy to create the product and avoids putting your old chalkboards into landfills. Removing harmful chalk dust – Chalk dust can be harmful to children with asthma or allergies. 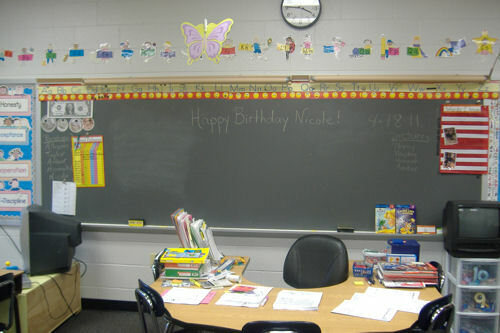 Resurfacing with a dry erase board eliminates the chalk dust floating in the classroom. 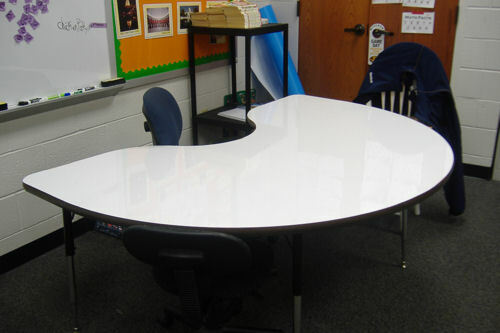 Quick installation – Refurbish a 10 foot whiteboard in under 20 minutes. There’s no need to wait until the end of term – you can resurface a whiteboard during a lunch break! 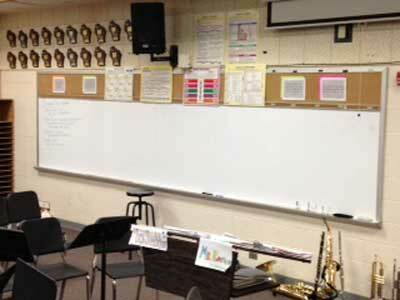 Band teacher Alana Seddon of Logan Middle School in Wisconsin says "We put up the whiteboard and it looks awesome! My colleagues will be asking the administration for the same thing in their room... It's such a huge improvement!" 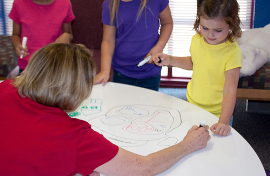 Lone Dell Elementary School used our products to resurface their blackboards to eliminate chalk dust and they've even gone a step further - covering tables with a dry erase surface! 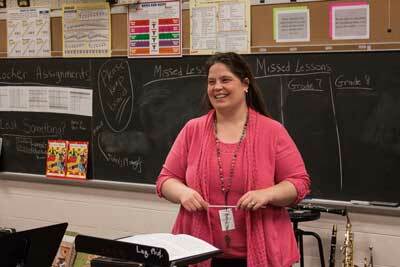 The students in the classroom are able to have interactive learning right on their tables. This table was covered using leftover material from the blackboard resurface.